“We’re all really out of our comfort zone.” Netflix has just released the premiere date and a new trailer for their upcoming TV show, Westside. Westside premieres on Netflix on November 9th. 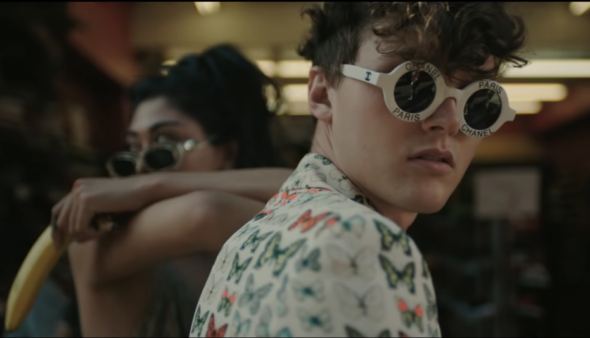 · Cameras capture the nine musicians as they develop an ensemble performance for a potential live showcase at an L.A. nightclub, but also follow each of them in their daily routine of multiple jobs, dwindling bank accounts and long-distance love. Throughout the season, viewers watch as one cast member get married, while others end relationships, confront substance abuse and come to terms with complicated childhoods. Despite their varied backgrounds, all of the musicians have big dreams – and they’re willing to do whatever it takes to make them come true. · Cast members include: Sean Patrick Murray, Pia Toscano, James Byous, Arika Gluck, Austin Kolbe, Caitlyn Ary, Leo Gallo, Alexandra Krekorian and Taz Zavala. · Several industry heavy hitters assist them along the way, including, Grammy(R)-winning music producer Philip Lawrence, renowned acting coach Susan Batson, and music director Keith Harrison. 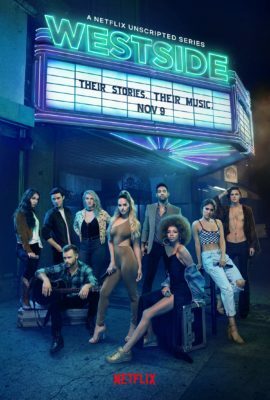 · Each episode of Westside features several full-length original songs and music videos, including original tracks written by more than 25 multi-platinum and Grammy award-winning songwriters and producers. The official 20-song soundtrack will be released by Warner Bros. Records. What do you think? Are you a fan of talent shows? Will you watch Westside? More about: Netflix TV shows: canceled or renewed?, Westside, Westside: canceled or renewed?